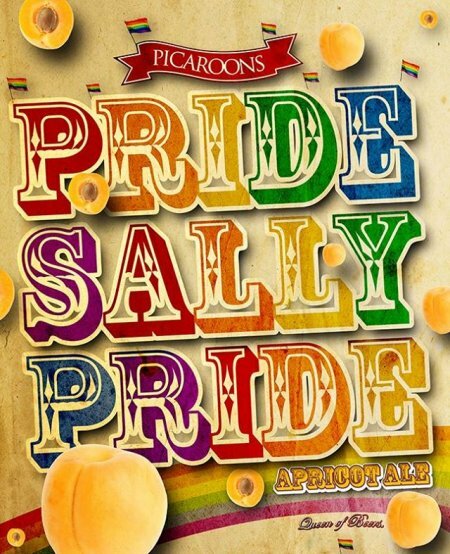 FREDERICTON, NB – Picaroons Traditional Ales has announced the release of a new beer especially brewed for next week’s Fredericton Pride celebrations. Pride Sally Pride is a 4.5% abv apricot ale brewed with Amarillo hops and natural apricot flavour. Dubbed “The Queen of Beers,” Pride Sally Pride will be available starting this Friday at select locations in Fredericton, and will remain on tap during Fredericton Pride Week on August 10th to 17th.